Hayes, Amy. A Collection of Wednesdays: Creating a Whole from the Parts. Grand Rapids: Zondervan, 2010. Amy Hayes uses Wednesdays as her writing days. She writes whatever's on her heart, and this is also what she has chosen to share with the rest of the world. The writings in this book do not follow a particular order, but life in general doesn't seem to go in order, either. She writes about a variety of topics such as belief, books, music, and wisdom, and like the Puritans shows that God is in everything. This is a great "night stand in the guest room" book - not too deep, but still thought-provoking. I don't know that I would put it in my own collection, but I could easily imagine buying such a book to give to a church friend. Taylor, G.P. The Dopple Ganger Chronicles: The Secret of Indigo Moon. Carol Stream, IL: Tyndale House Publishers, 2009. This is the second installment in the Dopple Ganger Chronicles, a series of graphic novels for young teens. 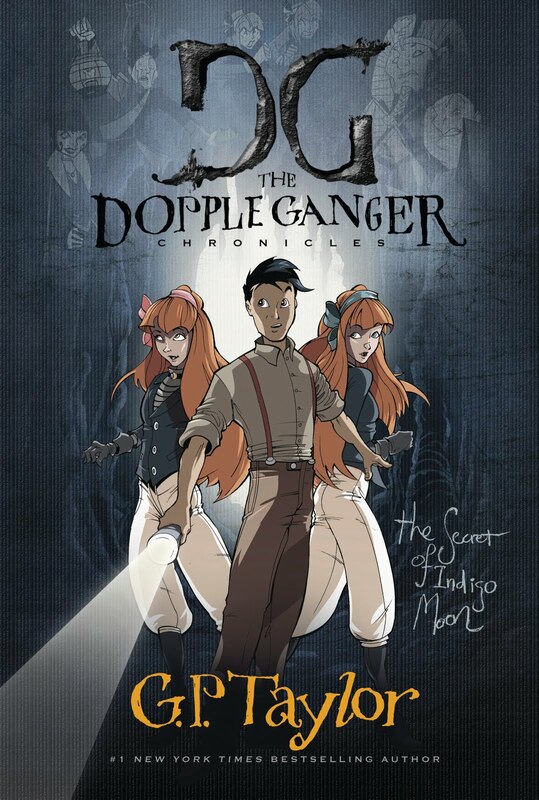 Similar to The Invention of Hugo Cabret, the Dopple Ganger Chronicles novels consist of pages of text interspersed with both illustrations and "comic book style" pages. The story is entertaining, free of objectionable elements, and mildly suspenseful. I can understand why this book appeals to young people, especially reluctant readers: each page offers something different, and the breaks in the text help to maintain the teens' attention to the story. The story itself wasn't actually that interesting. I kept reading for the sake of the illustrations, not to finish the highly predictible story line. Sometimes, however, a predictible plot is just what the doctor ordered, and in the case of reluctant tween and teen readers, the Dopple Ganger Chronicles might be a perfect fit. Savage, Carolyn and Sean. Inconceivable. New York: Harper-Collins, 2010. 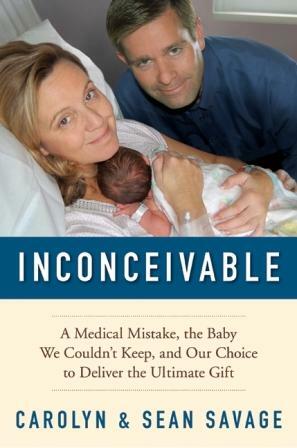 The subtitle of this book sums up the story nicely: "A medical mistake, the baby we couldn't keep, and our choice to deliver the ultimate gift." Wow. The title first attracted me to this book, then I got caught up in the story, and I just had to check it out. Believing God wanted them to "be fruitful and multiply," the Savages chose to use IVF (in vitro fertilization) to conceive their children when other infertility treatments did not work. Tragically, there was a mix-up at the clinic. The wrong baby was placed in Carolyn, and she became pregnant with someone else's child. There were few options open to the Savages. They could abort the baby, or they could choose to give the child to his biological parents upon his birth. They couldn't imagine aborting the baby, so they chose to continue the pregnancy to full term and give the baby to his genetic mother and father, all the while knowing that this was going to be Carolyn's last pregnancy; there would be no more little Savages in the house. I cannot imagine being in this couple's place. Absolutely I believe they did the right thing. Absolutely I believe it was incredibly hard for them. I applaud their moral integrity and commitment to life, and I am glad they chose to tell their story, too. This book was well worth the read.